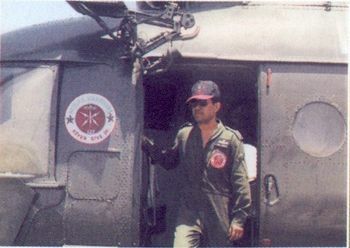 Sqn. 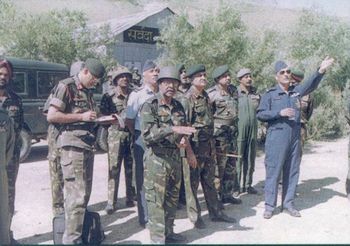 Ldr. 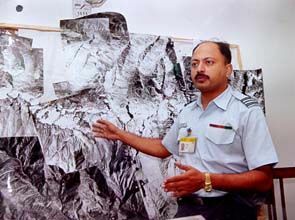 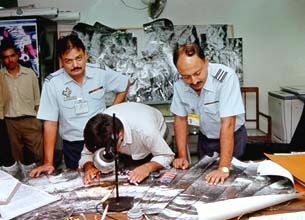 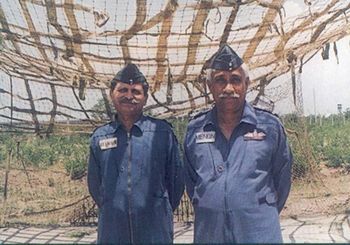 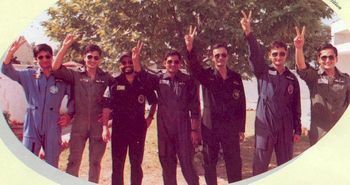 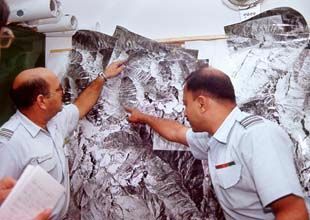 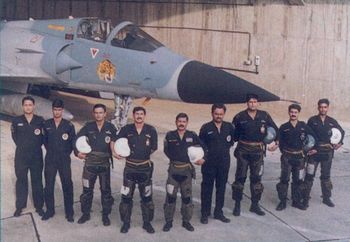 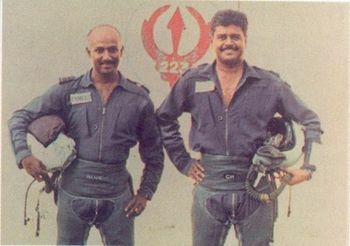 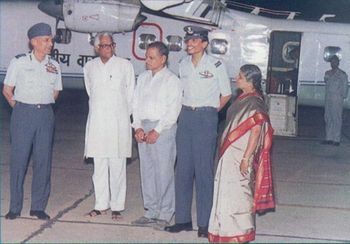 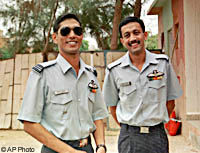 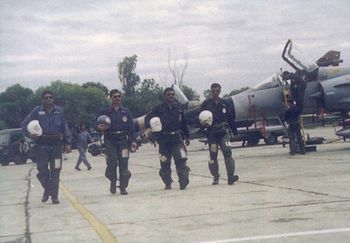 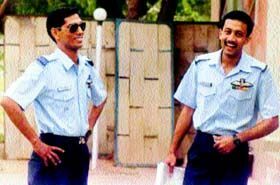 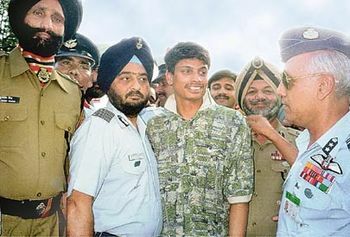 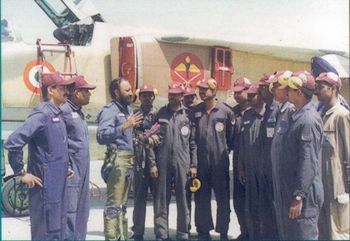 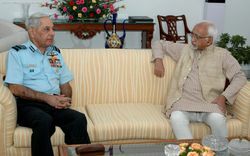 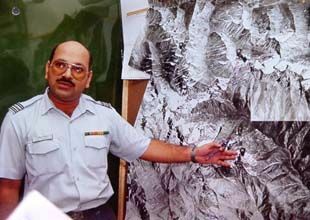 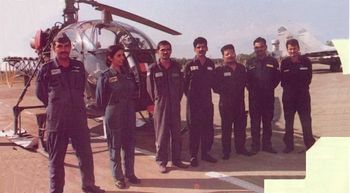 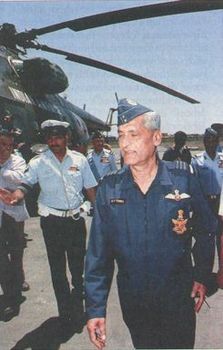 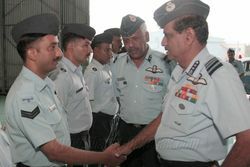 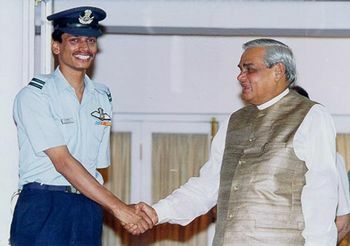 Alagaraja Perumal (left) with his navigator - Sqn. 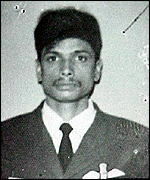 Ldr. 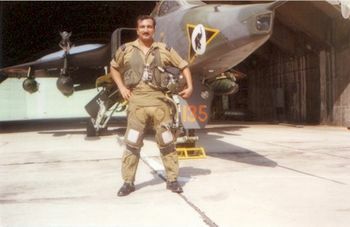 U K Jha with a Canberra aircraft from 106 Squadron. 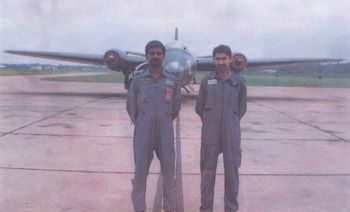 Both of them flew back a damaged Canberra after it was hit by a Stinger missile during the early days of the war. 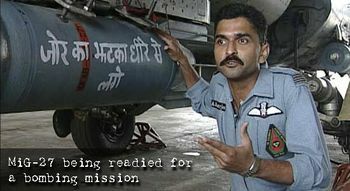 Wing Commander N.K. 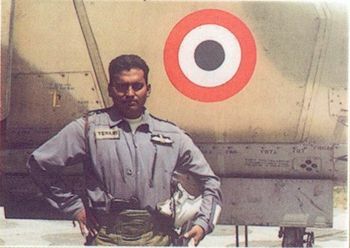 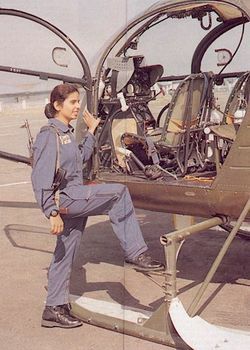 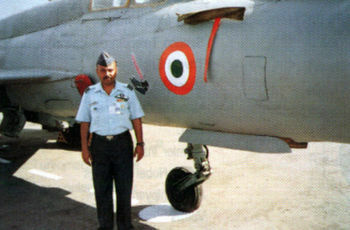 Tandon, Commanding Officer of No.51 Sword Arms Squadron, poses for the camera in front a MiG-21bis. 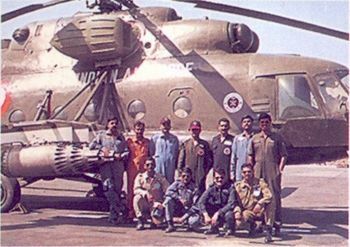 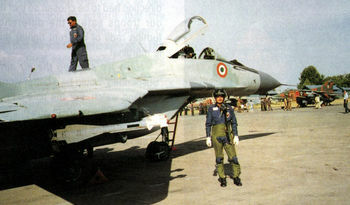 The squadron also flies MiG-27MLs. 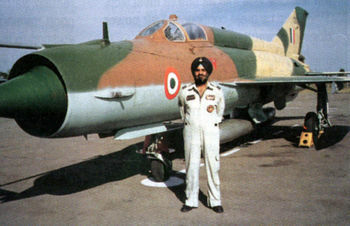 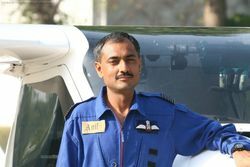 Wing Commander Harjinder Singh Jallawalia, Commanding Officer of the No.108 Hawkeyes Squadron, with a MiG-21M at Srinagar AFS.